After delivering his A$AP Ferg-assisted track "Black" early last month, Buddy has now released a video for the song. 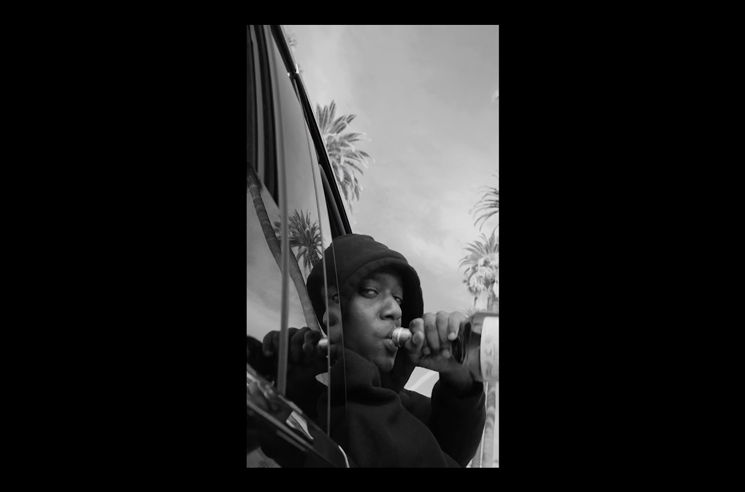 The vertical clip, shot in black and white, finds the Compton MC ghostriding his vehicle and pouring some liquor out for those no longer with him, later getting ahold of Ferg for his feature through the magic of Facetime. You can watch the video in the player below. As previously reported, "Black" will appear on a new full-length effort from Buddy, set to arrive this summer through Cool Lil Company/RCA. He'll join Joey Bada$$ on "The Amerikkkana Tour" later this month.